I can relate to some of the stories in your book. 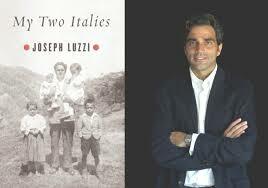 I am Italian American and my parents were born in Abruzzi, Italy. I have made many trips to Italy and like you I have selected Florence as my adopted city. I love the architecture, energy, history and will never forget the first time I “met” the Duomo. It is overwhelming and at the same time sublime. In my mind’s eye, I see it peeking through from every corner of the streets of Florence. Just fantastic! !